What are the best cordless clippers of 2018? We have worked with and reviewed a lot of clippers and in this video we choose from 5 of the best cordless clippers and choose which one we feel is the best all rounder in 2018. We choose between the Babyliss Pro Super Motor Cordless Clipper, the Wahl Cordless Senior, The Wahl 1919 100 Year Anniversary Clipper, the Wahl Magic Clip and the Andis Envy LI, all great cordless clippers but which one do we recommend? Please feel free to comment, we would love to hear from you! DISCLAIMER: All opinions in our videos are our own. This description contains affiliate links. This means that if you click on one of the item links above, we will receive a small commission at no cost to you. This commission helps support and grow the channel and allows us to continue to produce videos. Thank you for the support, we really appreciate it. Great review and thank you! So, price aside, you think the Magic Clips are better than the 1919’s? 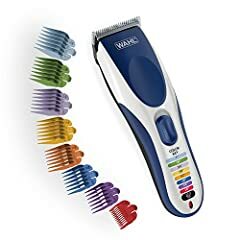 I’m looking to purchase my first cordless clipper or two & I haven’t bought a pair of Wahls since my early cutting days. Will you be doing a video on the best corded clippers?? Waht about the Super Taper Cordless? Why nobody ever talks about that one, for my experience its the same machine as the Magic Clip but with diferent blade, taper blade, that I prefer. So I ask you now, taper blade or crunch blade? If all the clippers cost the same witch one is the best?? Kemei 1990, cut amazing perfect clipper-18,60£.. 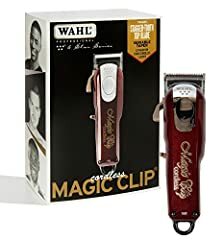 I have only wahl Senior and Magic clip at work . I think babylis is a good clipper too but it have a lit long size for me . hey whered you get those black and gold magic clips?! those are dope as hell looking and im trying to get a new pair of magic clips. magic clips are my choice as well. any help would be greatly appreciated man! love your videos!!! Awesome….such a balanced analysis. Thank you. within this past year, I found that the magic clips are good for fine/straight hair and the cordless seniors are good for coarse/curly/wavy hair. Great video. I like the magic clips but my honest opinion is they just don’t have the power of the cordless seniors. The seniors are strong from start to finish with no reduction in power until the last 30 seconds or so….then dead. The magic clips don’t have the same power when fully charged then start to fade after about 45 minutes. The seniors feel so nice in your hand, slightly slimmer and very well made. My Legends are still my favourite clippers but for cordless it has to be the seniors. I love Wahl Senior , have more power , elegance , good battery , fast charging and cut very nice . Magic clip is good but not the same quality with senior . Greetings from Norway . Magic Clip = TOYOTA ! The price increase means nothing…especially with Wahl. Barbers need to stop supporting the foolishness. I copped the 1919, we’re in the beauty industry right, I think the aesthetic of your tools is worth $50 over the Seniors and the Seniors are better than the Magics hands down. 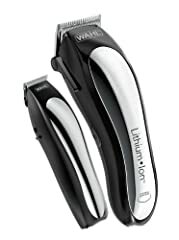 I like your choices but have you tried the JRL fresh face 1040 pro cordless clipper? 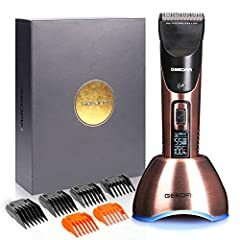 Best Hair Clippers in 2018 - Which Is The Best Hair Clipper?